The summer is past and the cold days of winter will soon be knocking our doors. The weather outside is going to be unsightly, but your skin doesn't have to be! 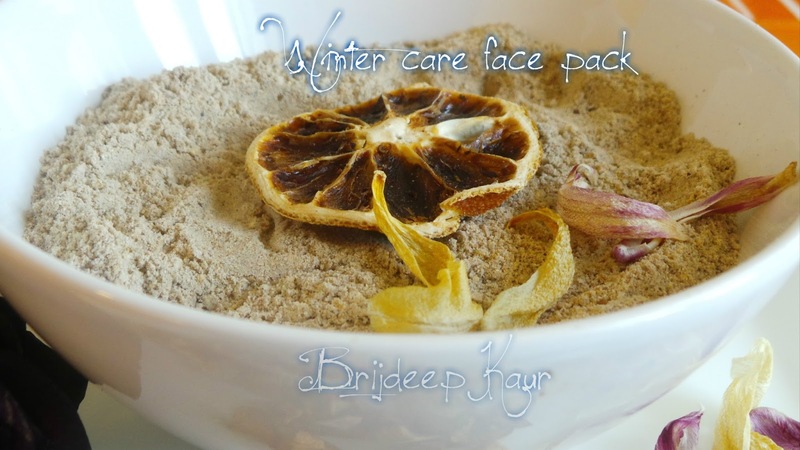 Rough, dry skin is often a result of the harsh winter against our skin, which is often very itchy and uncomfortable. 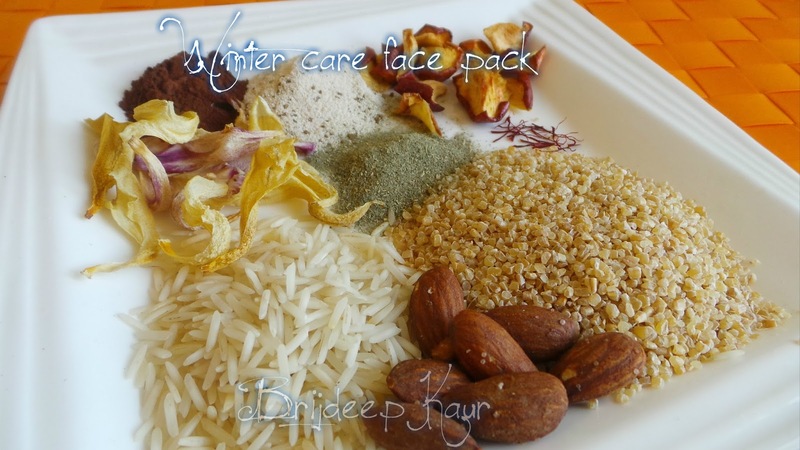 Along with drinking lots of fluids in the cold weather, here's a winter skin care face pack to prevent rough and dry skin and keep it smooth and glowing throughout the winters! Coffee powder: 1 heaped tbsp. Lightly toast the almonds and remove from the flame. Let cool. Add the oatmeal, rice, desiccated coconut, almonds, saffron, dried apples and dried orange peels to the mixer and grind it to a smooth powder. Transfer contents to a big bowl and one by one add and stir in chickpea flour, coffee powder, cocoa powder, mint powder, iced tea a crushed flower petals. Mix everything completely using your hands. 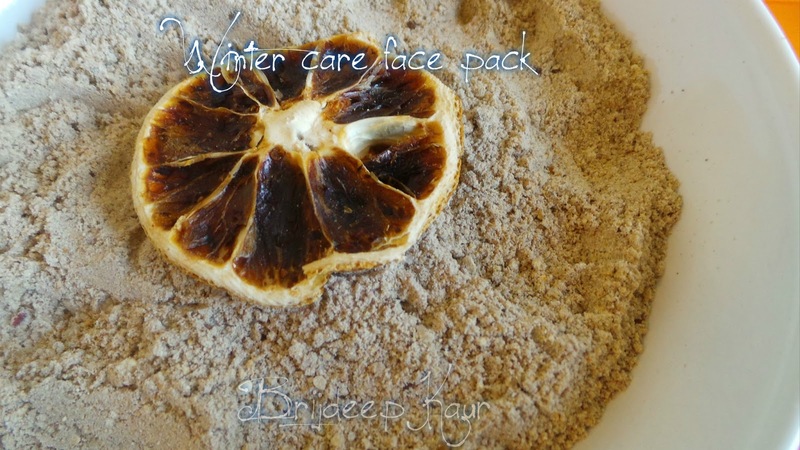 This whole pack should be dried and no drop of water or moisture should be added. Transfer contents to an airtight box and store on room temperature. Use everyday. Instructions to use: Mix one tbsp. 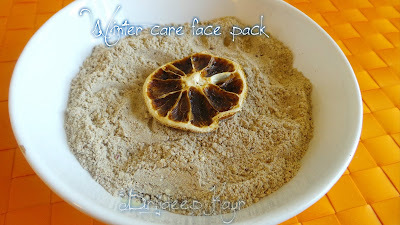 face pack to 1 tsp. yogurt and mix well. You can also add few drops of rose water. Apply on face and neck and let dry. Wash off with lukewarm water, don't use very hot water as it can make the skin further dry. Pat dry with a towel. If you liked this post then please share with your friends and leave a comment/question/ feedback in the comments section below. Connect with me on Facebook for regular updates!